So, in an effort to be a little more eco-friendly, I decided to make and try out using crochet cotton sponges for washing/cleaning etc. They've turned out to be great! 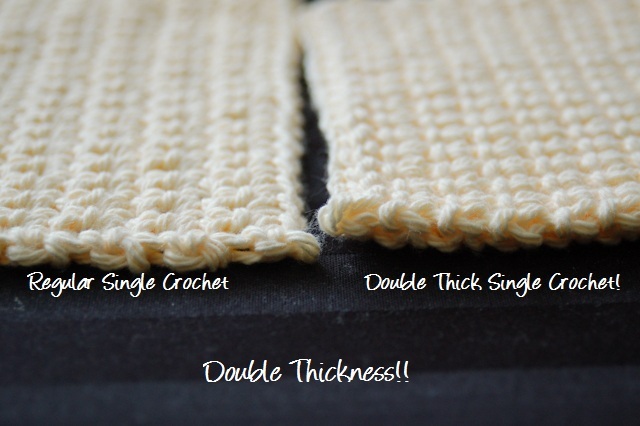 I used a special stitch that makes a single crochet fabric that is double thick. I love how the texture is great for cleaning up and protecting surfaces, and the cotton is so absorbent that it make clean ups quick! 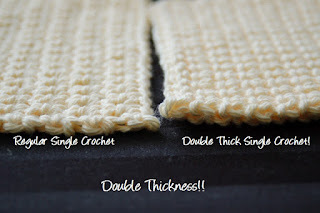 Crochet Cotton Sponges - Double Thick! Row 1: Sc in 2nd ch from hk, sc across. ch1, turn. Row 2: Sc in back loop and foundation row at the same time (double thick crochet), repeat across the row. ch 1, turn. Continue until the sponge measures 3.5" (about 10 rows of sc on either side). Finishing: Sl St across, through both loops. 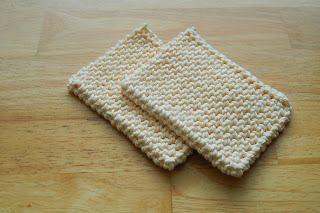 I added a line of these crochet cotton sponges to my Etsy shop, in case the stitch is a little complicated, or you don't have time to do it on your own :). wow great idea. thanks for sharing. i am going to try. Fantastic idea! :-) Thanks for sharing. I too, am going to try this out. What a great stitch! 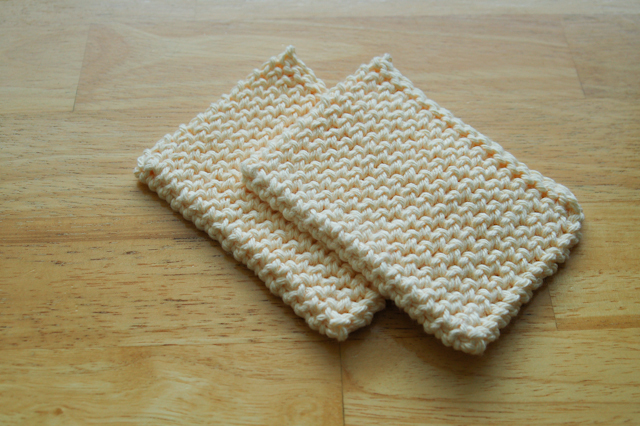 They're perfect for my friends who prefer sponges to dishcloths. Thanks for sharing your pattern.